KARACHI (92 News) – The Muttahida Qaumi Movement (MQM) suffered another setback when APMSO former chairman Muhammad Raza and Waheeduz Zaman joined the convoy of the Pak Sar Zameen Party. 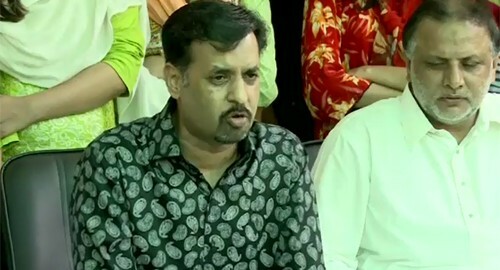 Speaking on the occasion, Mustafa Kamal said that the MQM had ordered to murder some people. Muhammad Raza said that the words uttered by Mustafa Kamal are truth. “We were deceived in the name of basic issues,” he said.